Our CEO Josephine will give a keynote speech on the topic of climate refugees in front of thousands of representatives of the worlds biggest companies in the energy field such as Shell, Total, ENI or the Norwegian Petroleum Society. As you may know, climate change could force over 140 Million people to migrate within countries by 2050 according to the World Bank. Nowadays already 2/3 of forced displacements are caused by climatic phenomena such as drought or violent disasters such as floods, hurricanes or fires (like this summer in Northern Europe)! That’s why, at Techfugees, we don’t believe that there is a “refugees crisis”. Migrations are definitely a structural phenomenon. And Tech can have a significant impact building products and services aimed at displaced people breaking barriers faced in their inclusion in host societies and to empower them. Now, we need to have in mind that we all can be a climate refugee at some point. So it’s time to stand alongside refugees and displaced people and make our countries ready to welcome them with humanity and dignity. That’s how we will build a better world and preserve democracy. Wanna hear more about this topic? 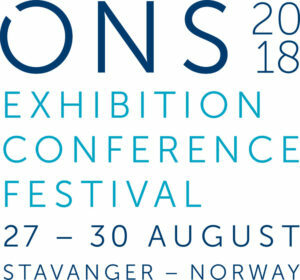 ✅ Follow #ONS2018 &@Techfugees on Facebook, Twitter & Instagram!